The Police, Fire and Crime Commissioner for Essex is committed to involving the people of Essex in the decisions made on their behalf. 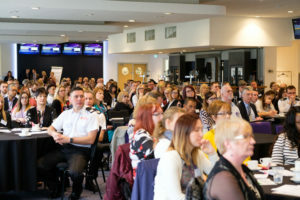 Therefore we want to understand your needs and views on Community Safety and the services provided by the Commissioner, particularly when the Commissioner works with Essex Police, Essex County Fire and Rescue Service and other partners. Whether you live or work in Essex, or are visiting friends or family, you may have a view on what crime reduction, community safety and fire and rescue priorities should be, or how Essex Police and Essex County Fire and Rescue Service should best deliver their services. You may also be able to provide feedback from personal experiences. Your views help form the core priorities for the Police and Crime Plan and the Fire and Rescue Plan. The Plans are the PFCC’s strategy for crime reduction, community safety and fire and rescue services in Essex. To create a flexible programme of engagement, providing all communities with the opportunity to participate fully and influence the debate and decision making around policing, community safety and fire and rescue services in the county. Our engagement will be open and transparent, ensuring that the police, fire and rescue service, and the PFCC give you relevant and timely information. We will make it as easy as possible to engage with us by holding our activities at accessible places and times, and in the heart of communities across Essex. We will bring you together with the people most responsible for community safety, policing and fire and rescue services in your area. We will use all appropriate methods available to us to deliver information to you and consult with you including online and social media where appropriate. Through our engagement events and activity we will reach out and value the diverse communities of Essex. We will have ongoing relationships providing feedback on what actions have happened as a result of our engagement. For more information about when the PFCC will be hosting a meeting in your area click here.